There is a reason Kerala is called God's Own land. The lush greenery and abundance of medicinal plants makes them the origin for many home remedies handed down for generations. 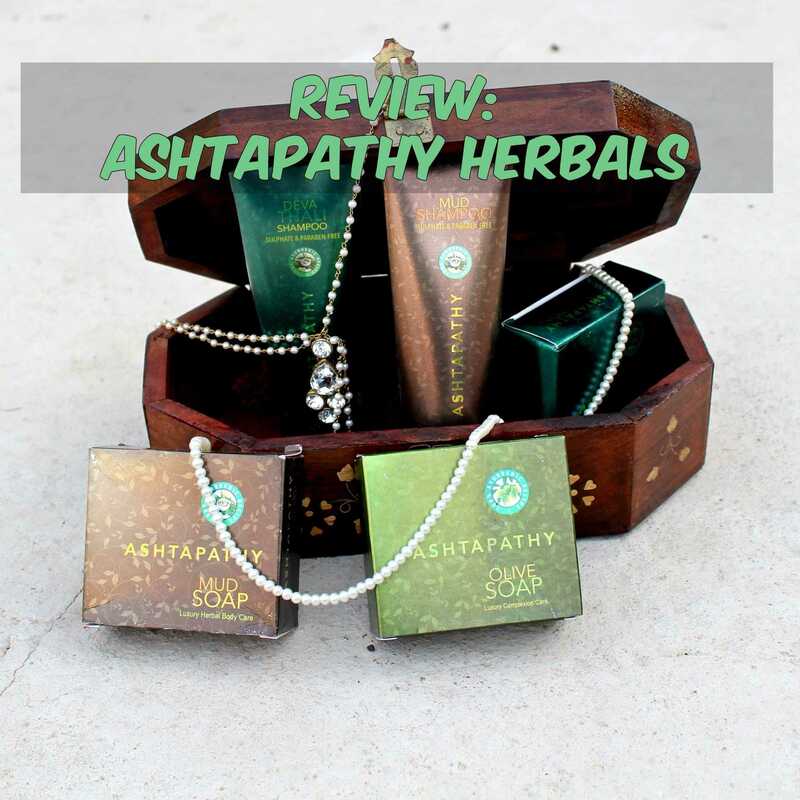 The practise of Ayurveda is predominant in Kerala so naturally when I got products made in Kerala with all the goodness of the ancient ayurveda, I was excited to try Ashtapathy Herbals. 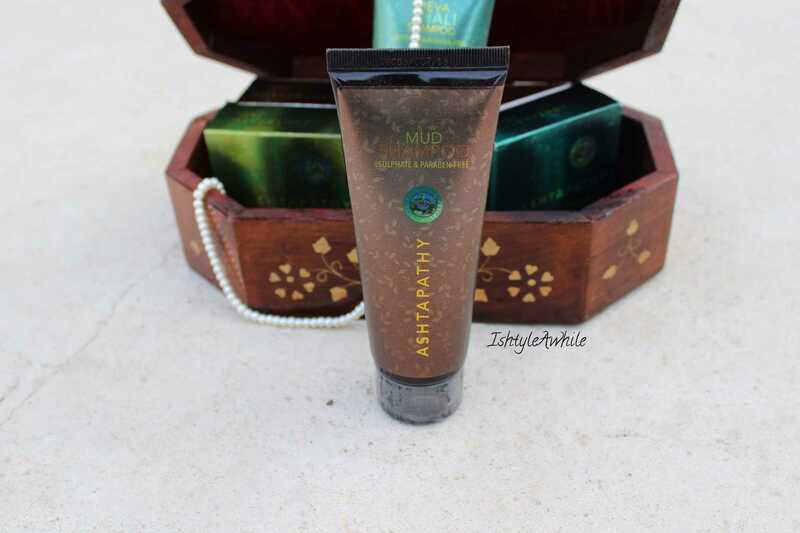 I received 5 products from their Ashtapathy range- 3 soaps and 2 shampoos and here is my review on the complete range. 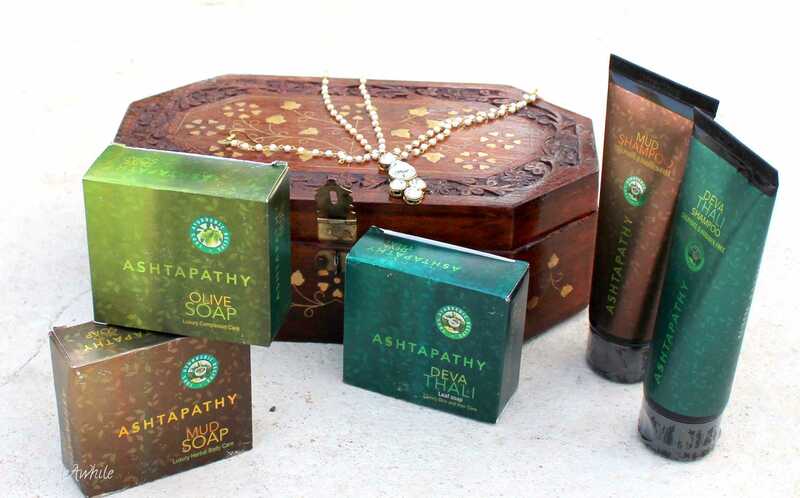 Ashtapathy Herbals is all about affordable skincare using pure ingredients keeping in mind the traditional values of Ayurveda. 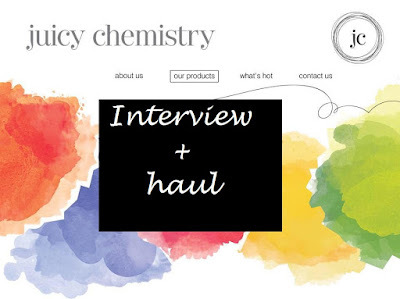 The entire range is free of sulphates, paraben, mineral oils, artificial colours and scents, and any additives. It caters to different skin types and hair types. 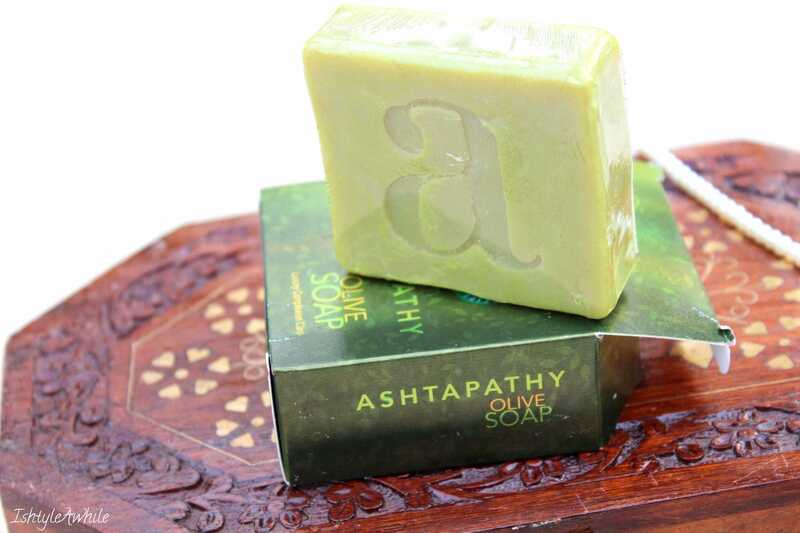 Ashtapathy Herbals, is available on SheshaBeauty, which is an e-commerce platform and the official stockist for their products. The soaps are all priced at 70INR for 100g and the shampoos are priced at 125INR for 100ml. I was kind of worried about how my skin might react to multani mitti. I have not had a great experience with multani mitti in the past so I was a bit hesitant to try this soap out especially on my face. However I did not face any breakouts after using this for about a week. 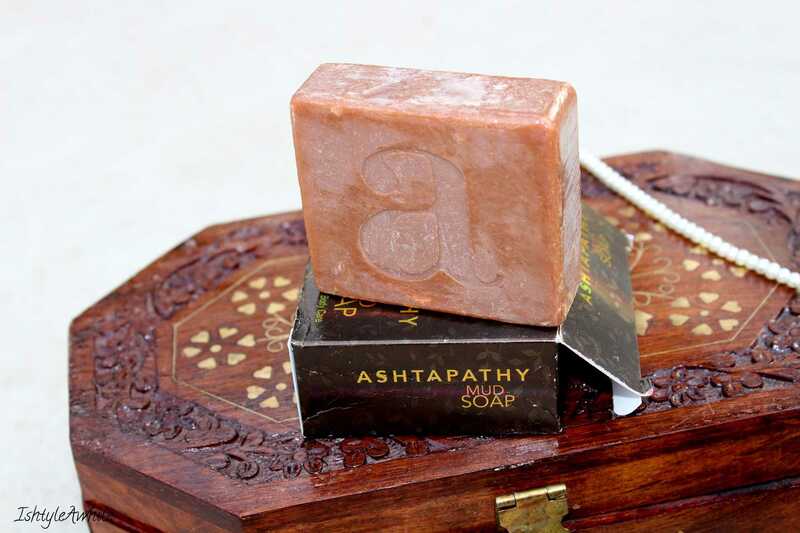 The soap is infused with the goodness of aloe vera, turmeric, pomegranate, and coconut oil. This is probably why the soap did not dry out my skin as much as I expected it to. The bar lasts for a month or slightly less than that which I think is great because I have had soaps just melt within days. There is no odour to this except a slight smell of turmeric. Who should buy this soap? Anyone trying to tackle excess oil, blocked pores and hyperpigmentation. It take times, but I saw a few marks slowly reducing on my arms. This is supposed to be a 2 in one bathing bar- for the skin and the hair. I am not comfortable with using a bar of soap for my hair, so I stuck to using it just for my skin. It contains tulsi, hibiscus, bringaraj, amla, and of course aloe vera and coconut oil. Just looking at the ingredients one can make out that it contains ingredients that are great for the hair as well. It has a slight herbal smell probably because of the tulsi and bringaraj but nothing that is overpowering. It has slightly more grainy particles than the other 2 soaps which makes it work like a mild exfoliant and scrub. This is definitely my favourite soap of the lot and is more hydrating than the mud soap. Who should buy this soap? Anyone looking for a shot of anti oxidants since this contains tulsi, bringaraj and amla in it. It is moisturising and good for normal or combination skin people. So this is the soap that I have used the least, since I just started using a few days ago. 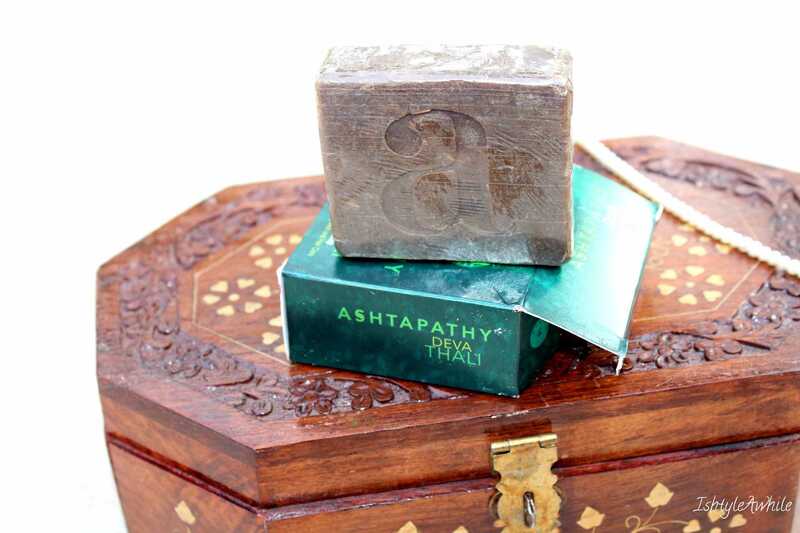 It contains neem, jasmine, olive oil, and a few other exotic ingredients such as devatharam and amaltas. There is a slight smell of neem and the soap feels moisturising. Who should by this soap? People with dry skin because it has the goodness of multiple oils. Shampoo with Multani Mitti in it?? That was definitely a novelty for me and I was convinced that it would dry my hair out and I would hate it. The first 2-3 washes my hair did feel quite dry and I had to experiment with the oil I used pre wash to find the right balance. But once I hit that balance I have loved using this. 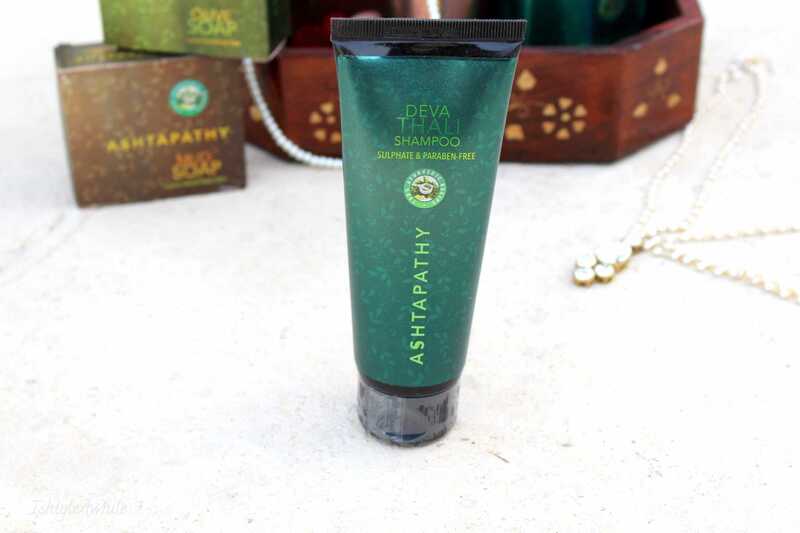 I reach out for this shampoo more than the Devathali shampoo. I find this mild and odour free. The product is a light brown colour and a bit runny. Initially I was using either too much or too little and then I found that all I need is just about 2 and half pumps for my entire scalp. I do not use this along the length of my hair as I already have quite dry hair. This is most effective when I oil my hair with regular coconut oil an hour or two before shampooing and I wash my hair with this only once. Who should by this shampoo? If you have sensitive scalp like mine. I feel like the Mud Shampoo was more effective in reducing dandruff for my scalp. This contains the same ingredients as the soap such as shikakai, hibiscus, and bringaraj. The product is light green and runny. This seemed to dry my scalp a lot more than the Mud shampoo. So I tend to use this only if I use til oil to oil my hair and I use it sparingly. I do not do a second rinse with this at all. This might work better for someone with more oily hair and I would not recommend this for people with dry hair. Who should buy this? People with oil hair should give this a try. Just make sure to oil your hair before the wash. It works better that way rather than oiling it overnight. 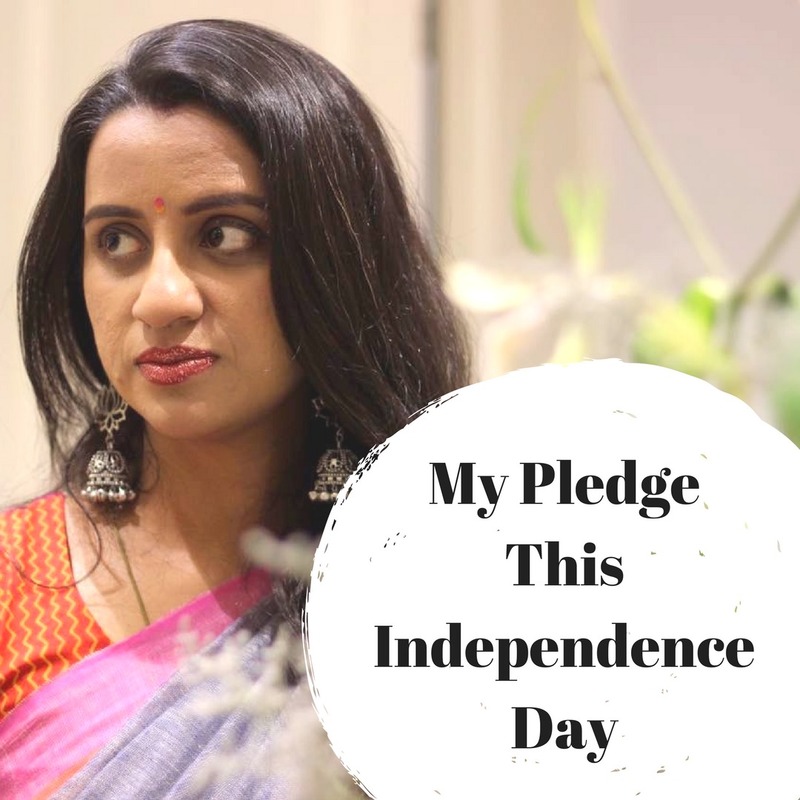 Overall I was surprised by the products that contained multani mitti as I never expected that to suit my skin or hair. I like that the soaps all have multiple ingredients in them which works on addressing multiple skin issues. 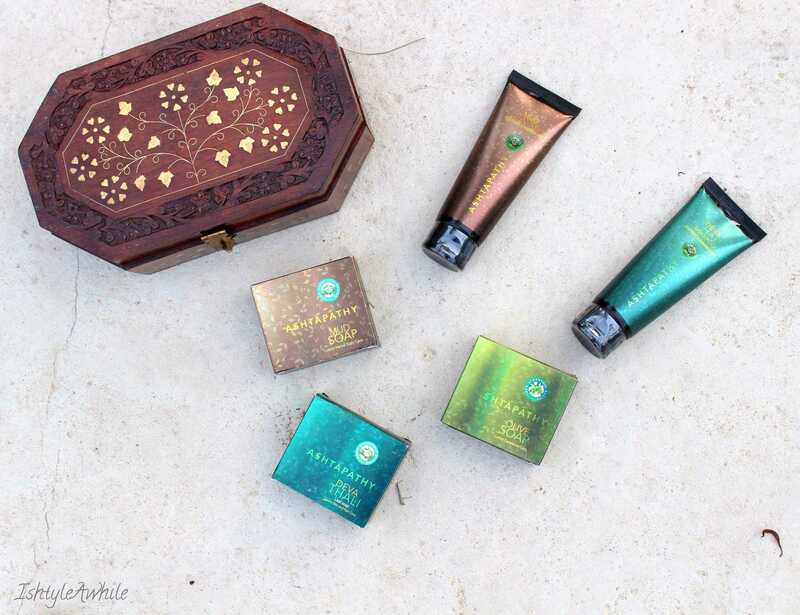 What I love the most is that the products really are affordable. You can find them available on SheshaBeauty in set combinations which is great value for money. Do let me know what you think of these products if you try them out. *The products were sent by the brand for my review. My opinions voiced here are complete honest.